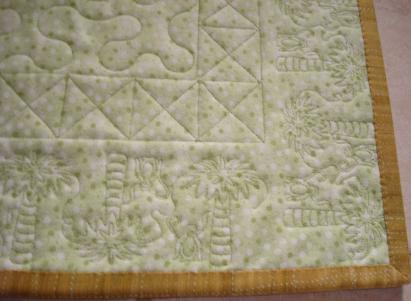 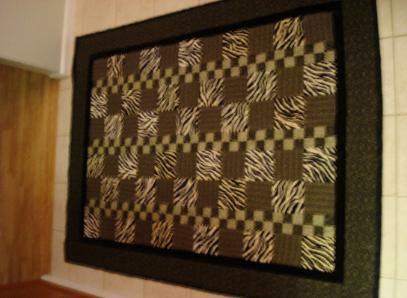 Monkeys and Palm Tree Border, Meander in middle and Block sashing. 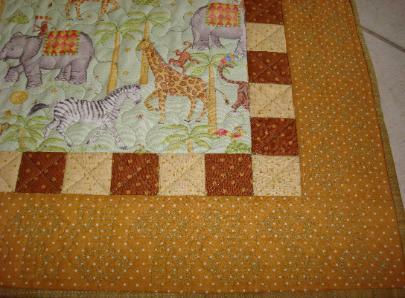 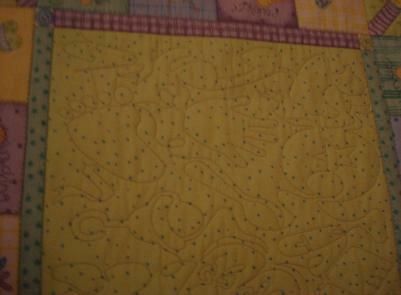 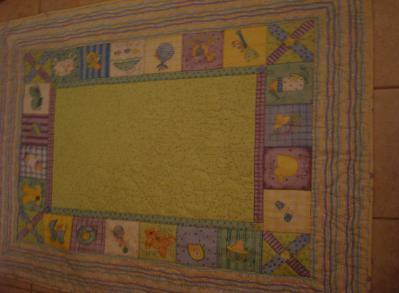 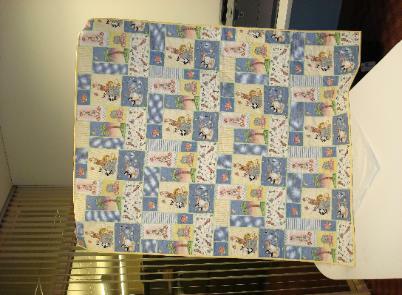 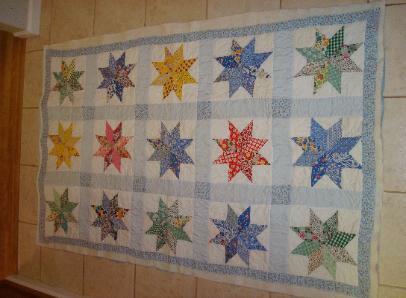 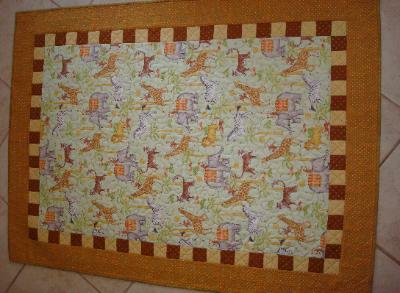 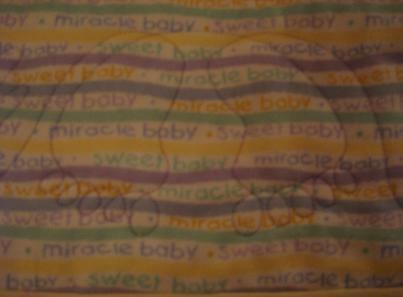 Baby Meander in middle of quilt, Hands and Feet border. 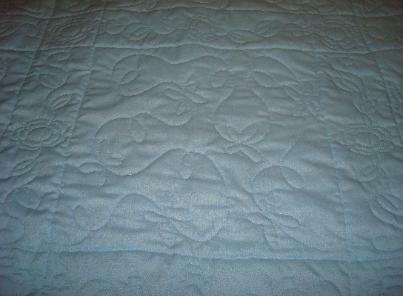 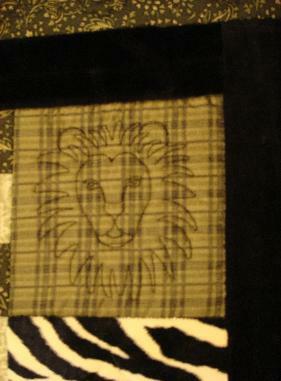 Lion Blocks with Paisley Border. 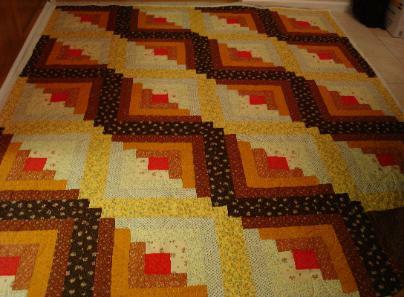 Big Block pattern in each log cabin. 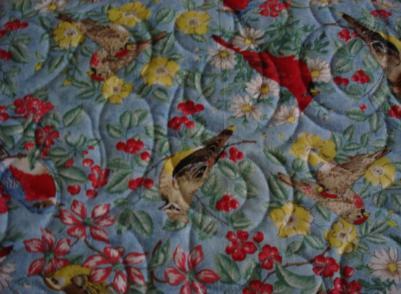 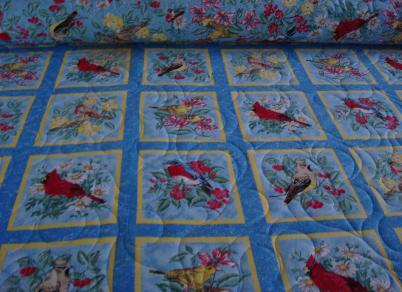 Feather pattern all over quilt. 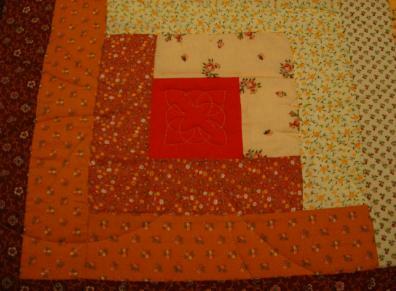 Butterfly Meander block and Flower Border in Sashing.